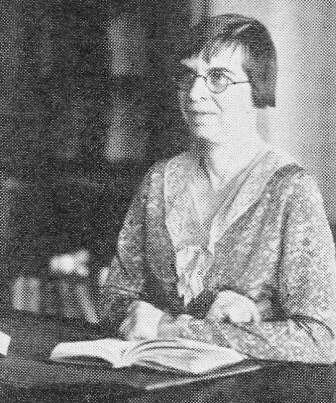 Miss Abigail Doughty, Garfield’s librarian was always known as a world traveler, but her trip during the summer of 1937, a tour of China and Japan, was a bit more exciting. Miss Doughty ran into some trouble, finding herself in the middle of the opening shots of World War II, in the Battle of Shanghai. Since 1931, there had been continual armed conflicts between China and Japan without any official declaration of war. These conflicts finally escalated in July 1937, when Japan falsified trouble with the Marco Polo Bridge Incident. Japan used this as a reason for their planned full-scale invasion of China. War had officially broken out between Japan and China. The amazing Miss Doughty still continued her tour through China and Japan, dodging the bombing of the SS Hoover (the ship she was to return on) and artillery shells zooming overhead while a passenger on another boat just off shore near Shanghai. While in China she met the financial advisor of China, the editor of the Chinese Journal and various important professors and lecturers (Arthur de Carle Sowerby, editor of the China Journal and Arthur N. Young, Financial advisor to China from 1929-1947). 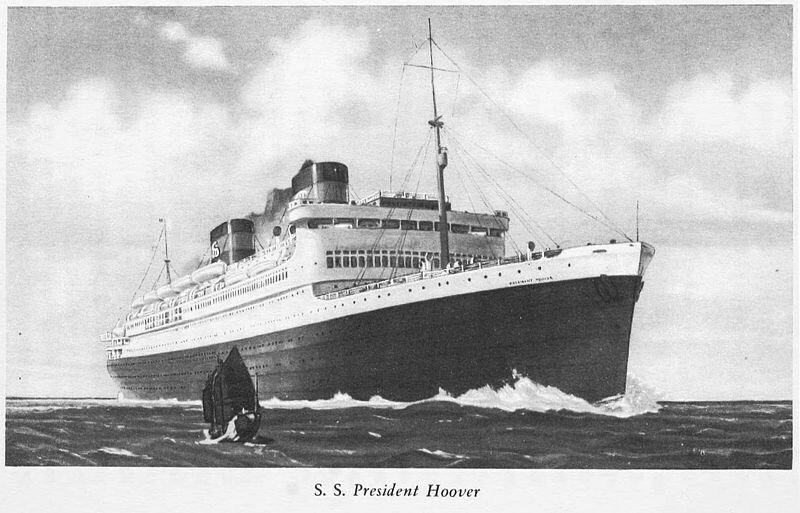 On her return trip, she boarded the already damaged SS Hoover in Yokohama, Japan, making the voyage on the disabled vessel to Honolulu and finally to San Francisco. Three months after her return, the Japanese massacred the city of Nanking (China) and bombed the USS Panay, killing 2, and wounding forty-three American Naval personnel. Miss Doughty said she was never in any real danger, but the trip wasn't "peaches and cream." September 24th, 1937 Issue of the Log with Miss Doughty's story.